A popular promotional or gift item, our self-cover desk and wall calendars are printed on 150gsm matt art. 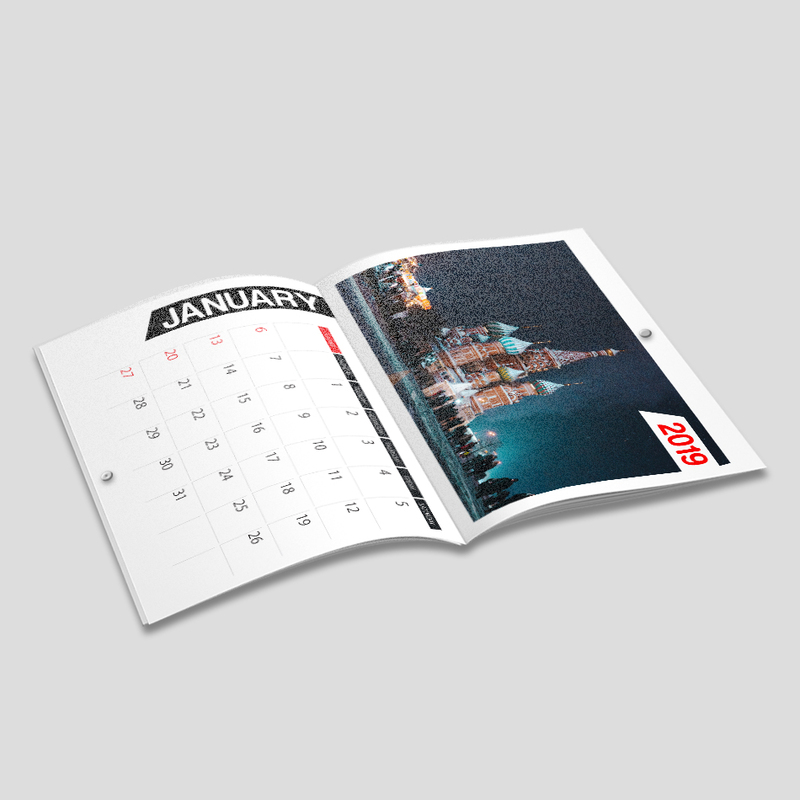 A 28pp offering (including the cover) we include FREE double-sided printing on all calendars. Drill holes are also available. 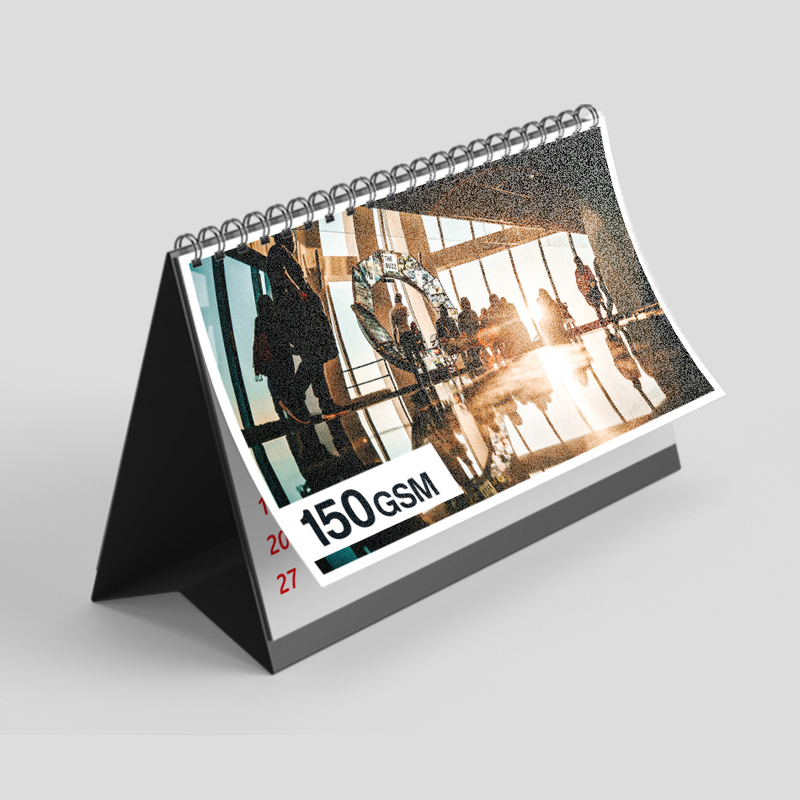 Desktop Calendars - Available in both DL and A5 they come standard with an unprinted 420gsm base. Bound with a 9mm twin loop wire, these calendars are the perfect practical new year gift. 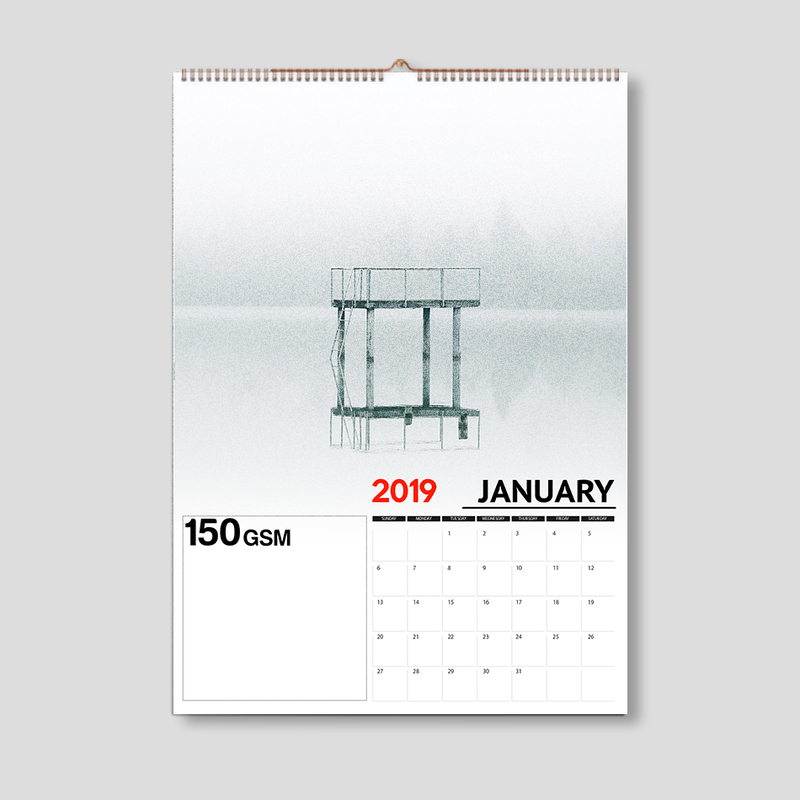 Wall Calendars - Our wall calendars are available in both A4 and A3 bound with a 9mm twin loop wire and a hanger and thumb notch so they can be easily displayed. We also offer an A4 saddle-stitched option with drill hole included.